Photo: Courtesy of Tim Casey. Adrienne Pozzetta is the Executive Assistant of Administration for the Florida Gators. Prior to using 24/7 Software, the Florida Gators were relying on antiquated methods for becoming aware of issues and incidents, communicating, and capturing critical details on game days. The Florida Gators recognized they needed a software solution that would allow them to communicate efficiently and effectively among departments while managing and responding to issues and incidents much faster. This requirement led to the Florida Gators’ implementation of 24/7 Software’s Text Communication and Incident Management System. After deployment of 24/7 Software’s platform, the Florida Gators gained more than just a solution that helped overcome their operational challenges. They secured access to a staff of knowledgeable professionals and to 24/7 Software’s customer community. 24/7 Software affords the Florida Gators the ability to communicate with many staff simultaneously, capture the detailed and accurate information they analyze for trends, all while producing a world-class fan experience. The Florida Gators football program represents the University of Florida in American college football. Florida competes in the Football Bowl Subdivision (FBS) of the National Collegiate Athletic Association (NCAA) and the Eastern Division of the Southeastern Conference (SEC). They play their home games in Steve Spurrier-Florida Field at Ben Hill Griffin Stadium (nicknamed "The Swamp") on the university's Gainesville campus. The Gators have won three national championships and eight SEC titles in the 111-season history of Florida football. The Florida Gators needed a faster, more thorough way to disseminate and save information obtained during a home football game. “Originally, we had handwritten notes for each incident that occurred during a game but learned that handwritten notes do not hold up in court,” explained Pozzetta. For each call that comes in, the Florida Gators need specific questions answered but didn’t have a way for all staff who responded to calls for service to know or see which questions to answer. “During a football game, something happens in a section; we always want to know the exact location,” explained Pozzetta. “For example, a guest passes out in the stadium bowl. We wanted to know the section, row, and seat number to find them. We also need to have this information documented,” she continued. “That’s not the only reason we need this information in a solution, though,” Pozzetta stated. Incidents were always disseminated via phone or radio during Florida Gators home games, but the organization knew that was not a 100% reliable way to ensure streamlined contact with staff or fans. When asked what criteria the Florida Gators had in mind for a solution, Adrienne shared their three primary requirements. “If I had to do it now, I would have to look at handwritten notes,” she revealed. According to Adrienne, the Florida Gators did not have to look far to find the solution that would fit their needs. “We quickly decided on using the text system because of its features, ease of use, and competitive pricing. Since then, we have not needed to consider any other solutions providers,” said Pozzetta. “Most attractive for me has been the ability to call 24/7 Software’s Customer Success team for help with any questions or issues, and have immediate support,” shared Pozzetta. “I call for two different reasons: tech support or for ways to expand our use of the system to enhance our operations,” explained Pozzetta. “The Customer Success team helps me to easily get in touch with someone from one of their many other customer organizations to figure out how to do something I am not currently doing,” she continued. “Whomever I speak to is always able to help me troubleshoot. They also help me get the full picture of what occurred and how to get it back to the original state if necessary,” said Pozzetta. When asked what benefits the Florida Gators have experienced from using 24/7 Software, Adrienne responded with a few. “There is no need for back and forth communication to clarify details, which allows us to move on to the next incident or issue,” she continued. Next, Adrienne shared how 24/7 Software’s close relationships with all of its customers creates a community for customers to interact, share best practices, and develop their own relationships with one another too. Lastly, she reiterated her appreciation for the 24/7 Software Customer Success team one last time. 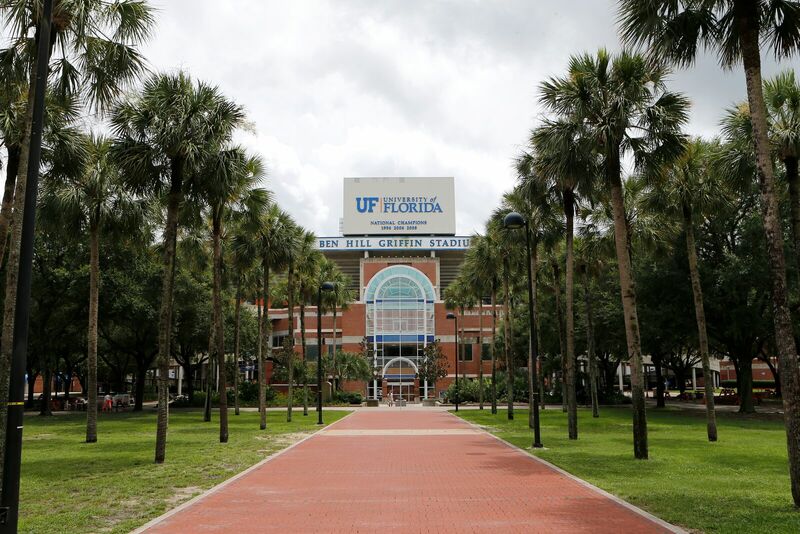 24/7 Software’s Incident Management System has increased the ability of multiple departments to see the same issues simultaneously; therefore, the Florida Gators have experienced a 50% reduction in response times to problems and incidents. “Since our first year using it, Text Communication has helped decrease the number of texts per game on our busiest in-state rivalry game against Florida State University by 76% (e.g., 2009: 223 incidents reported vs. 2017: 54 incidents reported),” revealed Pozzetta. Adrienne shared how 24/7 Software has allowed the Florida Gators to respond to issues faster, and be aware of situations before they become problems, in turn, decreasing the number of incoming texts. “We have our gates open before kickoff. Not everyone comes into the stadium, but the people that do help us mitigate issues before they become problems. We take care of things before the rest of the fans enter the stadium,” said Pozzetta. “If a fan is sitting out in the sun or they find a bleacher issue or water is spilled, it allows us to be proactive before most fans arrive,” she continued. Adrienne concluded that her current initiative is to get all departments on campus using 24/7 Software.